A membership organization, the Cordova Chamber of Commerce is governed by a 16-member Board of Directors. Each volunteers their expertise, time and knowledge; reflecting a broad cross-section of the local business community. The executive committee governs the Board of Directors, and contains the President, Vice-President, Treasurer, Secretary and one at-large voting board member. Several of our board members hold ex-officio positions, such as the Cordova City Manager, Mayor, USCG Commander, a representative from the US Forest Service – Cordova Ranger District and from the Native Village of Eyak. Additionally there is a Commercial Fisherman’s seat to provide representation for our commercial fishing industry. These highly dedicated and talented individuals represent our vibrant business community and come from diverse backgrounds and companies of varying sizes. The Chamber’s Board of Directors meets on a regular basis to discuss issues and set policies. 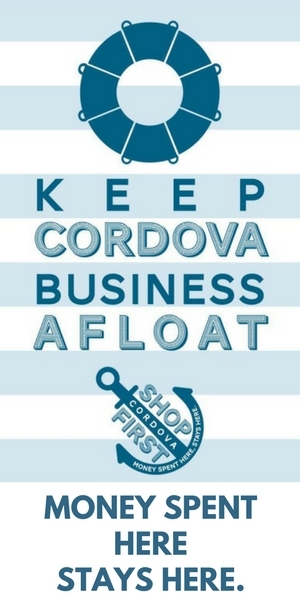 As a result, the Board acts as the primary body that advances support or concern to various levels of government and other public and private sector organizations and enhances the vitality of Cordova’s business community. Mission: The Cordova Chamber of Commerce shall have as its principal purpose and objective the promotion, development and encouragement of trade, commerce, economic, civic and social welfare of the Cordova area.